Gillian's Art and Whimsy: Signs of summer? Do the arrival of Rufous Hummingbirds and apple, early clematis and lilac blossoms mean that summer will be here soon? I hope so, I am ready. I have planted beans for the third time this spring, each time a few come up, maybe now I will have enough to fill the rows. I am ready for warmer weather even if it means I might have to water the garden occasionally but I have been so busy painting and the cooler weather does make it easier to focus on that. Great news, two of my paintings have been accepted into the "oil and water" exhibition at Gallery 1710 (Delta Artists Guild) which opens at the beginning of June. 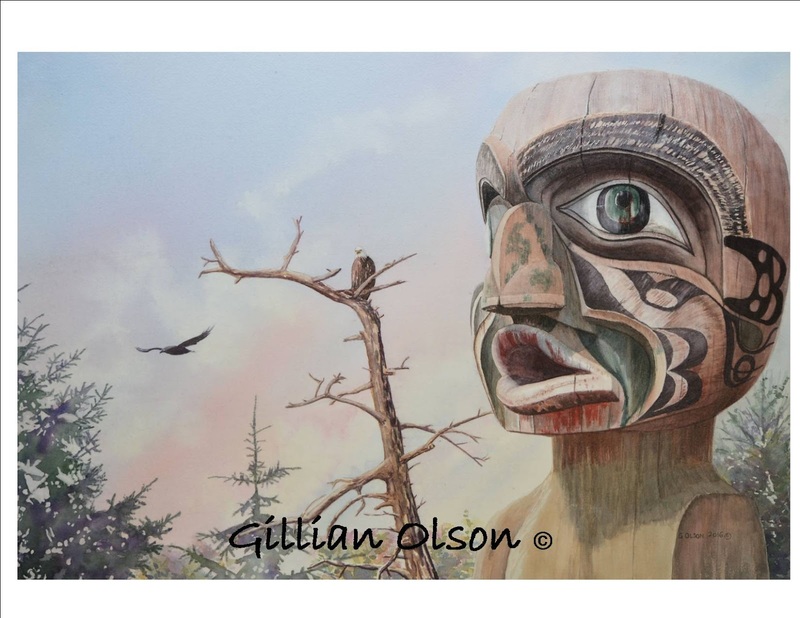 "Haida Song"- watercolour 18" X 24"
"Watchful" - watercolour 24" X 18"
Both are painted on watercolour paper and varnished; the first is on stretcher bars (first I stretch the paper then paint it) and the second is painted then mounted on a cradled exhibition panel. 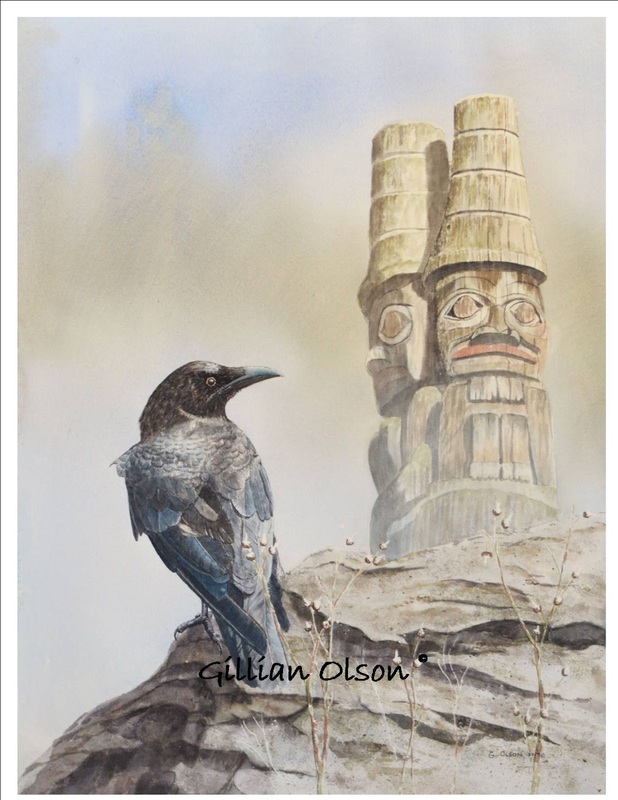 Both are inspired by my visit to Haida Gwaii last summer. I have also painted three more gargoyles, this one I saw and photographed in Albi, France. The other two gargoyles will have to wait until next time, the pictures I took seem to have gotten "lost" somewhere on my computer for now. Brief today, but my paintbrushes are calling me again, bye for now.